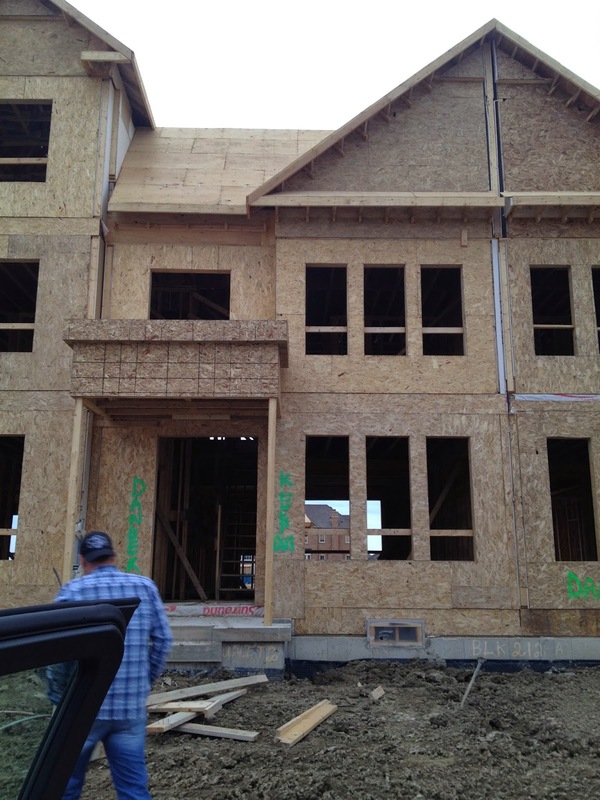 Kleinburg Diaries: The Roof is On!!! Now it looks like a house,... the roof is on. We believe the framing is almost done. Check the last pics! 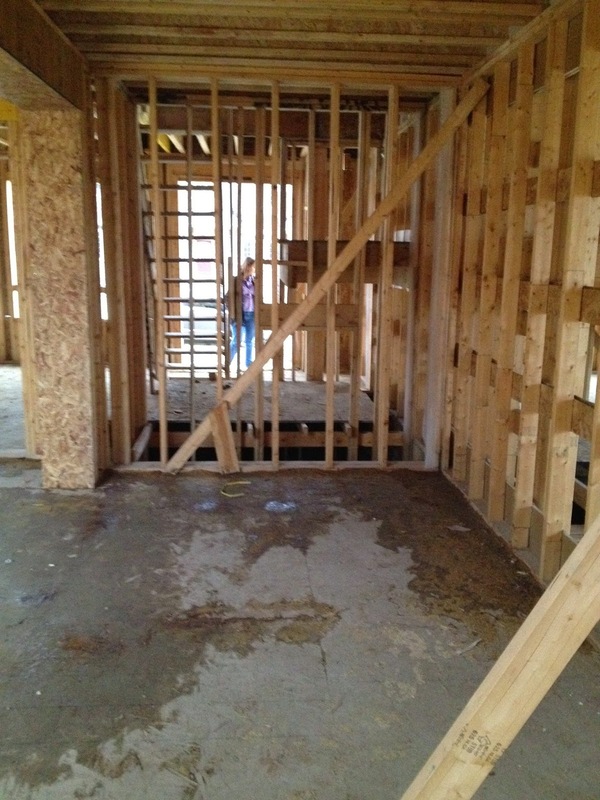 This is a view from the foyer to the living room and part of the dinning room. This picture was taken from the living room and you can see the dinning room to be and the big window to the backyard. I love the idea of having this big window, lots of light coming through. This is my future kitchen,... so easy to imagine the cabintes and the 3 extra pendant lights over the breakfast area (connecting with dinning room). Can't wait to see the house finished!!! !